The Lake County Indiana Sheriff’s Department has chosen B&T USA to provide a compact concealable submachine gun platform to equip a group of its officers. The Department selected the B&T MP9 9mm SMG due to its flexibility to fulfill all mission requirements from uniformed warrant service to plain clothes undercover operations. “The MP9 met Lake County’s requirements through a combination of its compact size, accurate high rate of fire, reliability, and configurability. The MP9 can be deployed from a variety of drop leg, belt, and shoulder holsters and has the ability to accept a suppressor,” stated Jon Scott, Vice President of Sales, B&T USA. Lake City officers equipped with the MP9 will join a club that also includes the French Secret Service’s Presidential protection detail and Indian Army special forces. 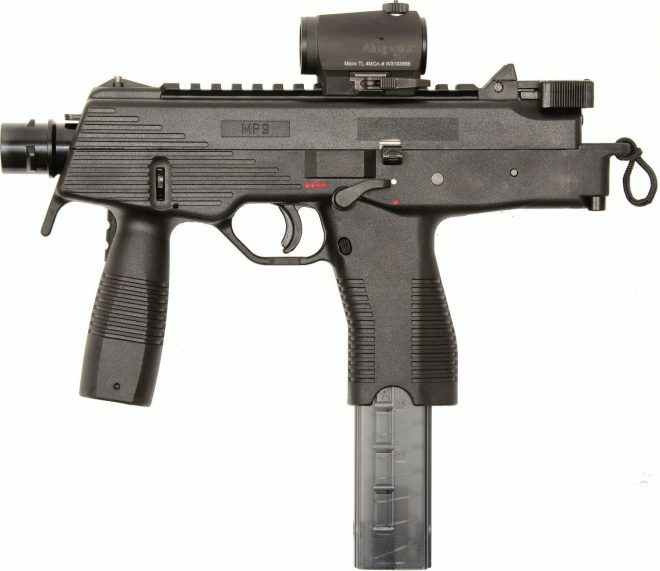 The order for an undisclosed number of MP9s will be fulfilled by B&T USA. Find out more about the B&T MP9 here.